There was a fake Amazon mothership video floating around the internet recently that had folks thinking it was real. 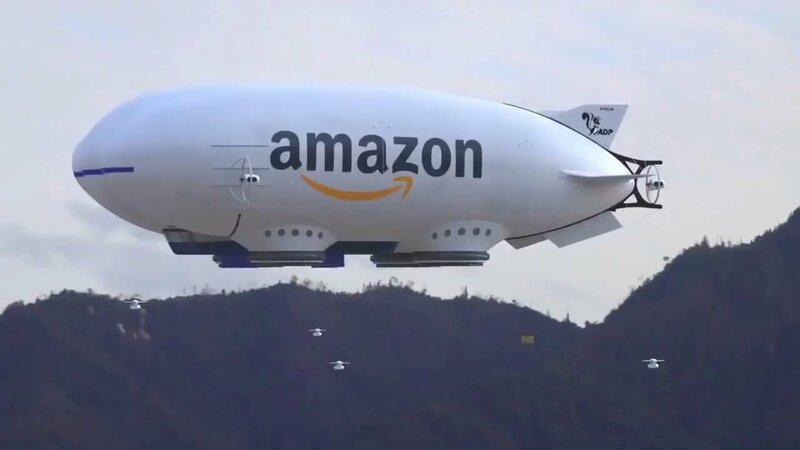 You probably saw it, with people calling it "borderline dystopian" and other things like that, because an Amazon blimp is obviously the worst thing ever, right? (Spoiler: It's not.) Well, no need to think big bad Amazon is coming with blimps to...deliver you packages? It wasn't a real video. Neither is this version of the clip, which transforms the blimp into a StarCraft Protoss Carrier thanks to some specially timed audio. The original video was created by a video production artist in Hiroshima, Japan, who can be found on Twitter as zozi009. The blimp and surrounding drones were created via CGI for impressive effect. The Protoss sound effects were added by YouTuber Exitfromreality, however, and it's genius. Carriers are Protoss air units that look at lot like this Amazon blimp, though much more gold and green. They have the highest health, armor, and shield ratings for Protoss races in StarCraft, and have low attack power in exchange for high range. It uses Reavers to build Interceptors to do its dirty work for them – hence the allusion to the drones in the Amazon video. They're big, bad units that can quickly do high amounts of damage, and the Amazon blimp looks like it could, too...when it comes to getting you your packages in an expedient manner . It's a fun video edit that we wish we had thought of first, honestly. Here's the original tweet from the creator who started it all. Shoutout to Mad Brahmin Disease for bringing this to our attention with his Chatty thread, as well as to Finchypoo for his take on the joke. Finchypoo is credit to the team! Truly showed everyone what it means to do it for Shacknews. Hahahaha, okay that’s great. Thanks for highlighting this. I missed the thread. It would be trippy if amazon delivery looked like that.